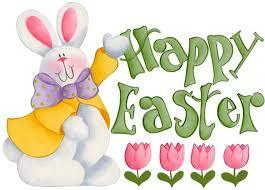 Easter Break is Wednesday, April 17th through Monday, April 22nd. Classes will resume on Tuesday, April 23rd. Have a happy and safe Easter. 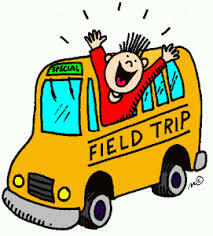 Wednesday, April 24th Kindergarten has a Field Trip. Permission notes are due no later than Wednesday, April 10th. All students must wear school uniforms. Please remember to pack your child a bag lunch for this day. Thursday, April 25th at 9:30 am in the Cafeteria. 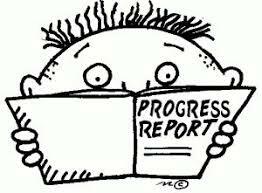 Thursday, April 25th Progress Reports go home. 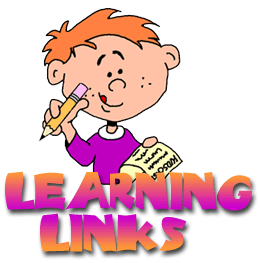 Monday, April 29th through Friday, May 3rd is LEAP Testing (Paper Based) for 3rd & 4th Grade students. WELCOME TO OUR BULLDOG FAMILY! I cannot express how thrilled I am to be your new principal. There is something so refreshing about new beginnings, it brings a sense of hope that the best is yet to come. Our school community is crucial to the success of our students. We are more than just a school here at Lacoste, we are a group of administrators, educators, support staff, mothers, fathers, brothers, sisters, and grandparents. It will take ALL of us to build a strong school, together we are “Bulldog Strong”. Our goal at Lacoste Elementary is to maintain an open communication between our school and our community. We want everyone who walks through our doors to feel welcome. 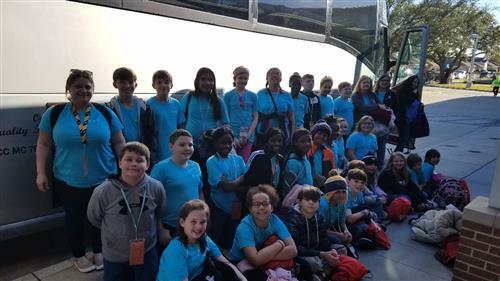 Our commitment will remain the same, which is to provide a structured, positive learning environment for all children, and we ask for your support by following school policies and procedures. We want you to be involved in your child’s education. We will continually communicate with you through our monthly calendar, newsletter, school website and through teacher/parent communication. If you have questions or concerns please do not hesitate to contact your child’s teacher, the guidance counselor, or the office. Together we will continue to provide your “precious gifts”, our students, the best education. I am excited to get to get to know all of my families as we go through the school year! Kindergarten - Arden Brown, Stella Schneider, Caia Campsen, Lonni Kersh, and Carson Schaeffer. 1st Grade - Kaden Calice, Mila Terranova, Darren Rivet, Aalayah Cloud, and Jana Hammad. 2nd Grade - Addley Mitchell, Colston Hood, Mohammad Shaikh-Khalil, Sophie Duque, and Malik Powell. 3rd Grade - Kameron Jauchler, Dustin Frilot, Alley Hensley, and Donald Hentz. 4th Grade - Raelyn Sortino, Vinh Thai, Denver Vicknair, Alijanea Waterhouse, and Olivia Lauga. 5th Grade - Gabriel Ruiz, Seren Reis, Hunter Clark, Mollie Sparnecht, and Emma Mendoza. March 21st is World Down Syndrome Awareness Day. Students and Teachers wore mismatched socks to show their support. Our BETA's had an amazing experience that will last a lifetime. 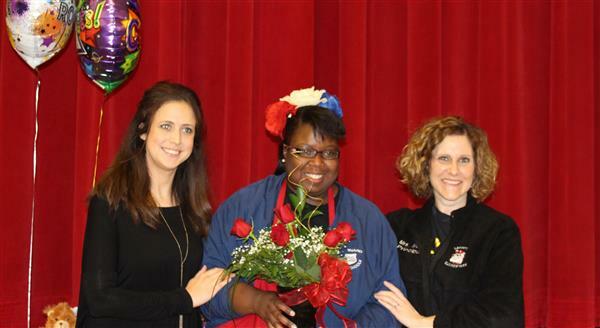 We are so excited to announce Ciaraka Winding as the 2019 Support Staff of the Year. Congratulations! Kindergarten - Vanna Hebert, Elena Davila, Emily Aguilar-Fonseca, Theodore Schilling, and Adam Abdelhaq. 1st Grade - Alexa Naquin, Grace Dewey, Deonta Gray, Ashton Westerfield, and Jayden Forvendel. 2nd Grade - Jade Jamhour, Bayden Williams, Kimberly Orellana-Janders, Makhi Powell, and Ziggy Aldridge. 3rd Grade - Bree Gallo, Ne'Yala Franklin, Remy Sparnecht, Aubrey Mitchell, and Allie Barefoot. 4th Grade - Abigayle Creason, Emmery Johnson, Amiya Marshall, Kennedi Crouchet, and Malorie-Kate Wilson. 5th Grade - Delanie Develle, Briggs Lee, Adam Turni, Jeisily Espino-Gil, and Casha' Parker.